For ten years, Denny's father has battled cancer. The drawn-out loss has forged Denny into a dazed, antisocial young woman. On the clock, she works as a lab tech, readying fruit flies for experimentation. In her spare time, only her parents, an aggressively kind best friend, and her blowhard imaginary pal Gene--who she knows isn't real--ornament her stale days in the DC suburbs. Now her father's cancer is back for a third time, and he's rejecting treatment. Denny's transgressive reaction is to flee. She begins to dismantle her life, constructing in its place the fantasy of perfect detachment. Unsure whether the impulse is monastic or suicidal, she rents a secluded cabin in the mountains. When she discovers life in the wilderness isn't the perfect detachment she was expecting--and that she isn't as alone as she'd hoped--Denny is forced to reckon with this failure while confronting a new life with its own set of pleasures and dangerous incursions. AMANDA GOLDBLATT is a writer and teacher living in Chicago. She is a 2018 National Endowment for the Arts Creative Writing Fellow, and her fiction and essays have appeared in such journals as The Southern Review, Noon, Fence, Diagram, Hobart, and American Short Fiction. 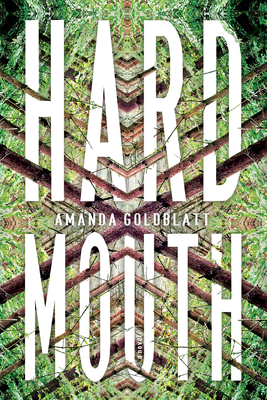 Hard Mouth is her debut novel.